Plants in the genus Lilium are the true members of the lily family, according to the University of Minnesota. Other plants that have the name "lily" in them, like daylily, are, surprising to some, not true lilies. Lilies are bulbous plants and while there are many varieties of lilies in the lily family, there are a few that are the most popular. Easter lilies (Lilium longiflorum) originated from Japan and are now a holiday tradition in the United States, available as potted plants around Easter time. With large, white, trumpet-shaped blooms, it is brought into the home and enjoyed for several weeks. 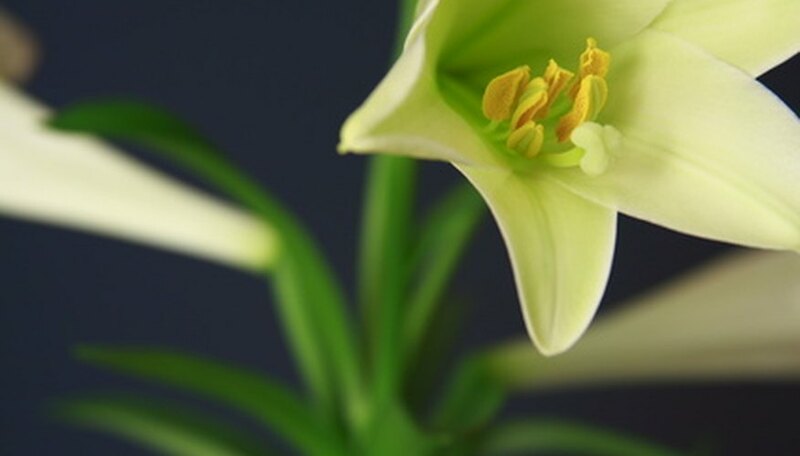 Fortunately, with proper care after it is finished flowering, an Easter lily can become a perennial in your home or out in the garden. There are many Oriental lily cultivars, including "Stargazer," "Tiger," "Black Beauty" and "Yellow Ribbon." Oriental lilies are hybrids that are more cold hardy than other plants in the lily family, sometimes down to USDA Plant Hardiness Zone 3. They have a sweet scent and adorn the garden beginning in the mid-summer. Due to their height, some varieties need staking as they grow. Asiatic lilies are some of the most popular types of lilies, including the cultivars "Enchantment," "Apollo" and "Dawn Star." They are hyrbid lilies that are among the first to bloom in the spring. Because of their strong stems, they do not need staking even though they grow between 2 and 5 feet tall. Some dwarf varieties, such as the "Pixie" grow upward to only about 2 feet. Like Oriental lilies, Asiatic lilies are extremely cold hardy.